From back of package: Now Improved! 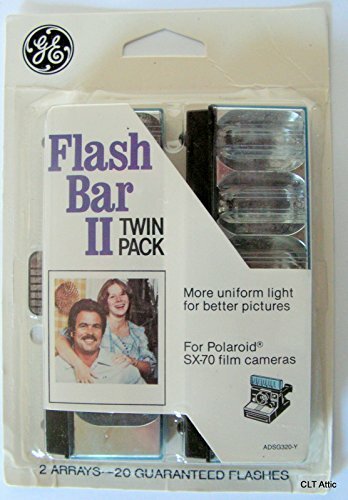 GE Flashbar II - now Larger, Brighter Bulbs, with "Wide Beam" lens for better light distribution. Gives you more evenly lighted pictures, edge to edge, reduses bright spots when taking close-ups. New Old Stock - May need to clean contacts.